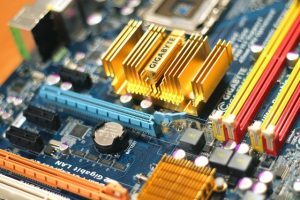 While it may be tempting to try and undertake computer repair on your own if you are the sort of PC user who has a fair amount of knowledge about such things, there’s still a huge amount of risk involved. Tackling PC repair yourself can not only undo any benefits which your manufacturer warranty may support, but it may also mean that you end up without a PC for an extended amount of time. Confidence is all well and good – but when it comes to getting your machine brought back to a sparkling working standard that you can depend upon, you are going to need to go with an experienced and approved technician to make sure that your computer comes back to life, working again to the standards you expect. Can they Prove they are Approved? That being said, it’s always advisable that, whether you are looking for computer repair or a quick fix for a mobile phone or tablet, you should go with someone who not only says they know what they are doing, but who can also prove it. Tech CPR is an approved service and repair centre both for iTechnician and ComputerMend, as well as an approved service member with PhoneMend. This means that our team have been thoroughly vetted and authorised to offer the best in technology repair in our region. Approved technicians are overseen by certain organisations and are graded and authorised before they can start work – meaning that we are more than proud to be considered one of the most dependable centres available for repairs and upgrades in Chesterfield and beyond. Not all technicians and computer repair centres carry such approval – though there’s plenty of reasons to be wary if they don’t. Non-approved technicians may not be covered by appropriate insurance, nor might they be authorised to do the job that they do. Essentially, approaching a firm without such accreditation could be akin to taking your PC’s life with your very hands – without a solid guarantee in place that everything will come back to you as required – or at the very least without an assertion that an alternative route will be explored. An approved centre such as ours will make sure that you are not only quoted fairly and ahead of any work being completed, but that you will also receive the best quality care from a team who truly knows what they are doing. What more could you want from a computer repair firm? If you are struggling to make the most out of a computer which is struggling to load or perform the tasks you ask of it, get in touch with Tech CPR Ltd today. We are a Chesterfield-based upgrades and repairs firm which is fully approved for the work we do by a number of authorities in our region – why not bring in your computer and let us see what we can do for you? Call our team directly on 01246 452319 or get in touch via web form and we will get back to you.